Lovely image - happy and beautiful! 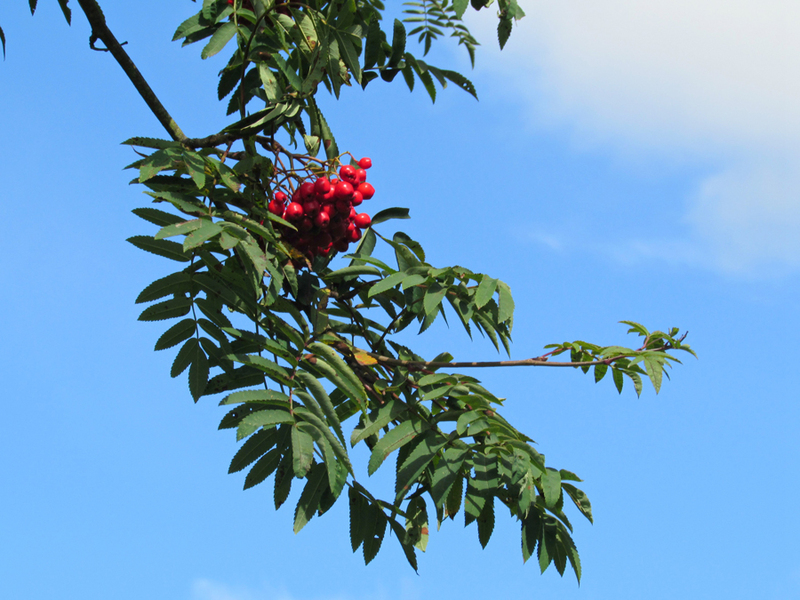 Those leaves and berries resemble a Mountain Ash tree; which attracts a variety of birds. Nicely composed, Jade! The red berries against the blue sky - wow! Me tooo! This is a great one - the red berries really pop! One of the best backgrounds in nature! Thank you, I love the contrast! This Sorbus doesn't look tired! You are quite right there, Tom!